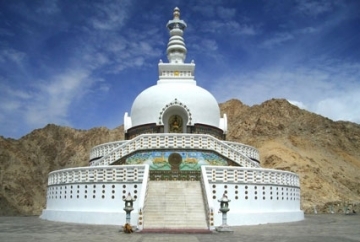 The ultimate travelers’ paradise, Ladakh is one of the best monsoon destinations in India. It hardly rains in the cold desert but the unrivalled beauty and the thrill to travel through the rugged beauty is one of the adventures of a lifetime. The difficulty terrain in Jammu and Kashmir remains closed half the year and opens during the monsoon. 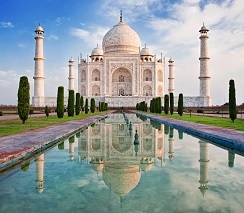 The peak monsoon month, August is the ideal time to travel. If you want to give rains a miss and see raw beauty, Ladakh is yours to explore. 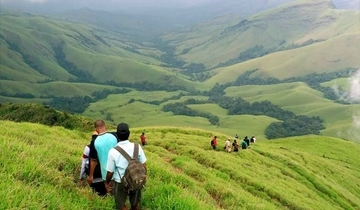 Kerala’s most popular hill station, Munnar in Western Ghats is at its best beauty in the monsoon. August is the ideal time to visit. In the rains, the emerald landscape shines its best shades, the waterfalls are in full force, the birds thrive, the wildlife rejoice and travelers have the best holiday. Munnar is an ideal escape for some quiet time in the midst the mountains. Usually it is not tourist season in August, so you can enjoy a vacation without any rush and countless off-season benefits. 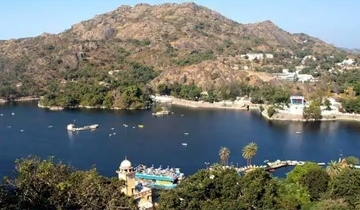 Mount Abu is a very rare and striking hill station, interestingly, because it is the only one in the whole state. Placed in the hills of Aravalli, Mount Abu is rich in flora and fauna. The area presents a scenic view surrounded by green hills and forests, it is home to several lakes, waterfalls and other tourist attractions. August is the best time to visit Mount Abu, it is the monsoon season, but this area receives less rainfall. The beauty of the place gets enhanced in the rain, making it the perfect place for the nature lovers. 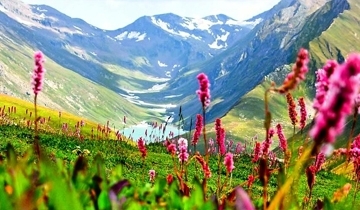 Come August and the Valley Of Flowers in Uttarakhand is a sight of heaven. The beautiful valley settled in Chamoli district is a UNESCO World Heritage site. Covered in snow for most part of the year, after rains, the valley gets covered in mountain flowers of every possible shade. The area is full of endemic high altitude flowers of more than 400 varieties. One can visit here only after a moderate trek of 3-4 days. 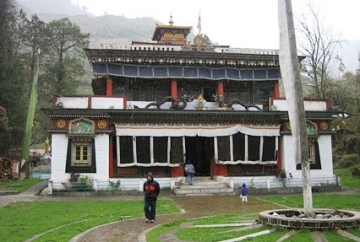 Start the trek from Govindghat and after a scenic trek of 12-13 km reach the picturesque valley. Gotrekking on this scenic trail this August. Placed in the lush land of Kerala, on the banks of the Vembanad Lake, Kumarakom boasts of being one of the best monsoon destinations in South India. 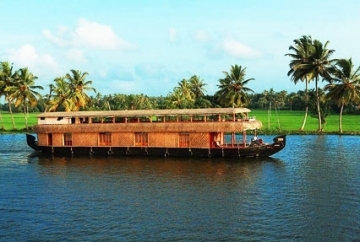 Popularly known for its bustling backwater tourism, the place has been blessed by lush surroundings. The monsoon in August make the place even greener and add to the already wonderful weather. 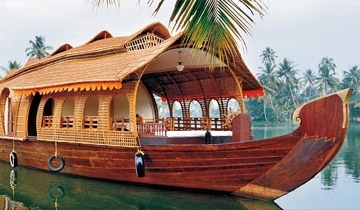 Enjoy houseboat cruise in the placid waters of the largest freshwater lake of Kerala and relish the serenity. Bird-watching on Kumarakom is another popular activity here. The second wettest place on the planet, Cherrapunjee receives rains throughout the year. The ferocity of the rains, gives life to the numerous waterfalls, and the lushly covered landscape and hills. 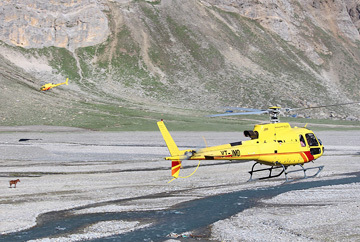 There are numerous exciting monsoon trekking trips which will create a memory of a lifetime. It is certainly one of the best places to visit in monsoon. Trek through the living root tree bridges. Taste the unique orange flower honey and the Meghalaya tea. Experience the best of rains in the ultimate monsoon month of August. 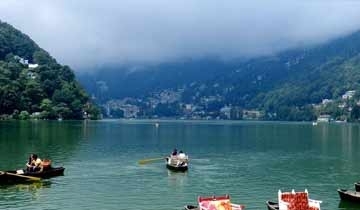 Drenched in the rains, Nainital becomes only all the more beautiful. 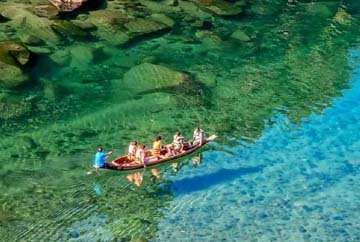 The charming hill town of Uttarakhand is one of the best places to visit in August. 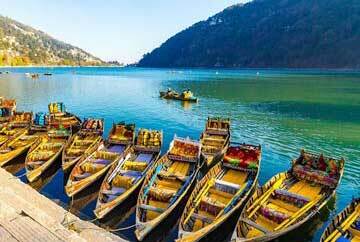 Pitter-patter of rains, misty hills, Naini Lake shining like a gem, sightseeing, cherished experiences and many more reason lure you to plan a visit. August, the season of monsoon is perfect for a relaxing vacation. Coorg, the picturesque hill station of Karnataka set in the lush lap of Western Ghats is one of the best places to visit in August. Blessed with salubrious weather, the hill town is perfect to enjoy leisurely vacation or a weekend. Lose yourself in the picturesque beauty, misty rains, adventures like camping, river-rafting, fishing, trekking to surrounding areas, exploring waterfalls and other activities. Bird watching and wildlife spotting add to the thrill. The rains also do not spoil plans for sightseeing, you can spend time in Kodagu and Bylakuppe. 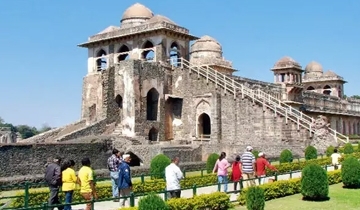 There is a ruined city of Mandu or Mandavgad in Madhya Pradesh and is one of the top tourist destinations in the state. This abandoned Mughal city is situated on a hill, its originality is traced back to the 10th century, when the Paramr ruler made it the capital. Among the visitors, the place is famous for its magnificent fort, dilapidated palaces, pavilions and more. The best time to visit this city is during the monsoon, around August. Mandu is a monsoon resort, the place becomes vibrant and fresh at this time. 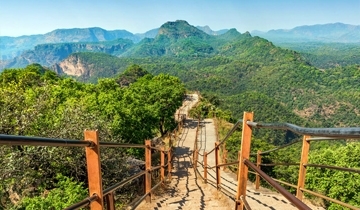 The only hill station in the heart of India, Pachmarhi in August turns into a wonderland, boasting of a salubrious weather. The monsoon embellishes the place with breathtaking views and pleasant weather, ideal for sightseeing and other activities. 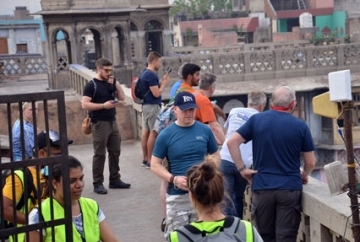 Popularly known as ‘Satpura Ki Rani,’ this place is believed to have a connection with Mahabharata, the great Hindu epic. Do not miss visiting Rajat Pratap Waterfall, highest waterfall in India. Pachmarhi has also blessed by a rich biosphere, and has varied flora and fauna. 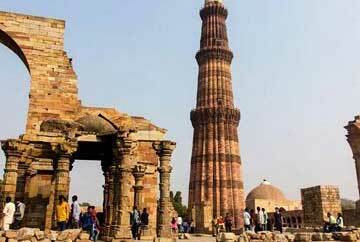 The place is dotted with several natural and man-made wonders, worth-exploring. The hill station of Tamil Nadu, with its colonial charm and the beautiful environment is a perfect place for relaxation. 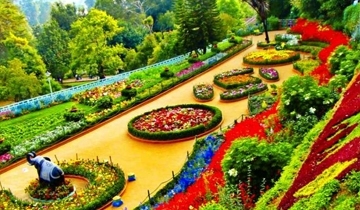 Ooty is one of the major tourist destinations of the state, alluring the visitors with its greenery and cool climate. The place has much to offer you, starting from the stunning landscape, luxury hotels and even a nearby wildlife experience. 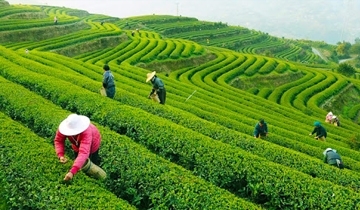 The best time to visit Ooty is during the monsoon, around August, when the rainfall is heavy. At this time the beauty and the freshness of the place is doubled. 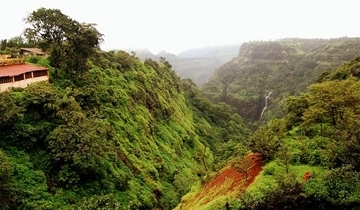 Khandala, along with Lonavlaare the twin hill stations located in the Western Ghats, Maharashtra. The place is easily accessible from neighboring cities, is most visited site for hiking and picnics. Khandala offers a scenic view of the grassy hills, spotless valleys and numerous lakes. You can visit Khandala anytime of the year, however, you will get to witness the raw beauty of the surroundings during the monsoon season. The monsoon starts from June - August, Khandala receives rainfall intently and makes the place look more beautiful. Even the waterfalls look abundant at this time. 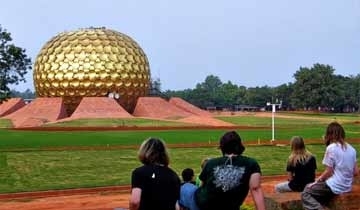 The former French colony, is a small town on the coast of Southern India. The place still carries the air of the long left colonists, the heritage structures, road and buildings make up the town of Pondicherry. The place serves as a destination for a relaxed and leisurely holiday. You can enjoy the sparkling beaches and the fresh seafood at this place. The best time to visit Pondicherry during summers, you can enjoy the beach activities and there is much less traffic in the town at this time. The enchanting hill town of Kodaikanal boasts of being one of the top monsoon holiday destinations in India. The place has been blessed by lush surroundings, and the rains in the month of August, make the place even more beautiful. 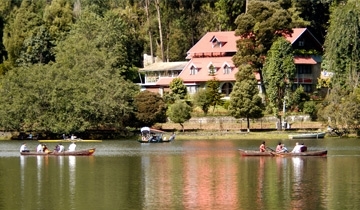 Fondly known as the ‘the ‘Princess of Hill Stations’, Kodaikanal offers peaceful vacations. Kodai Lake and the waterfalls must be-visited. The pleasant aroma of the rain-drenched mud fills your nostrils as you take a walk to explore the nature. During the monsoon, Kodaikanal in August receives moderate rainfall and thus is a delightful destination. The second highest plunge waterfall in the country is located in the state of Karnataka. 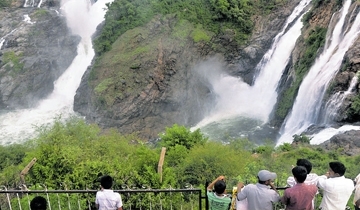 Sharavathi river forms the Jog Falls, it is the most magnificent and striking falls in the state. It is located in a densely forested region and watching the water flow down, makes the view magical altogether. Monsoon is the best time to visit this part, around August. The monsoon rain makes the waterfalls descend in full intensity. Shirdi is an important pilgrimage center, thousands of devotees come to visit this place in Maharashtra. 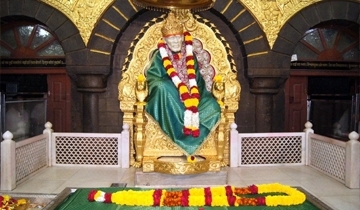 Shirdi is basically an abode of a great saint, Sai Baba, who preached universal brotherhood. All the activities of the town are in relation to him and his temple. There are various places in and around the town for your spiritual journey to continue and the best time to visit Shridhi is during the monsoon season, around August. The temperature decreases, making your trip much more pleasurable. United States of America has attractions and activities for visitors throughout the year. August is the perfect time to plan your visit, as summer is at its best here. If you wish to spend time amid nature, then the national parks are just the place for you. Yellowstone National Park and Great Canyon are the best choices. Las Vegas is particularly wonderful. The big shot cities, beaches, historic buildings, museums, art galleries and amusement parks are equally incredible. Festivals, food, shopping and nightlife add fun to your vacation. Indonesia is a blissful getaway for vacations. Being located just below the equator, August is a winter month here, and what we say the nicest month to visit. The temperatures are balmy, and there is no rain at this time of the year. Spend time on the beaches, enjoying the play of waves and soaking in the sunshine. Surfing is thrilling at this time of the year. Pay a visit to the ancient temples, go exploring the rustic countryside. Do not miss on getting a refreshing Balinese massage or taste the delectable gastronomy. 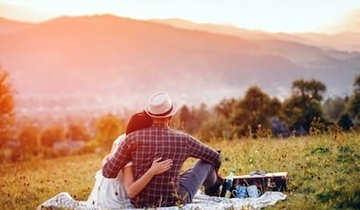 August technically means winter in Australia, but it is one of the best times to go visiting. The weather is pleasant and not the bone-biting cold of May. It is pleasant enough to go swimming, snorkeling or exploring the Great Barrier Reef. There is also snow on the mountains, perfect for snow adventures. The Australian Outback is perfect for exploring and getting away from cities. The cities lure you with their charm of sights, food and shopping. Lastly, the reason to visit Australia in August is cheap on your pocket. South Africa in August is amazing. The lure is irresistible, as one can go for game drives to Big Five, catch a sight of penguins at Boulders Beach or go sampling delectable wines. Get ready to explore bustling cities like Cape Town and Johannesburg. 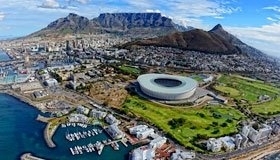 Spend time at scenic beaches, go whale watching along the Cape Peninsula, party, shop or relax. Do take a trip to Northern Cape, as four thousand floral species of every possible shade burst into bloom, creating an amazing flower-carpet that stretches across hundreds of kilometres.